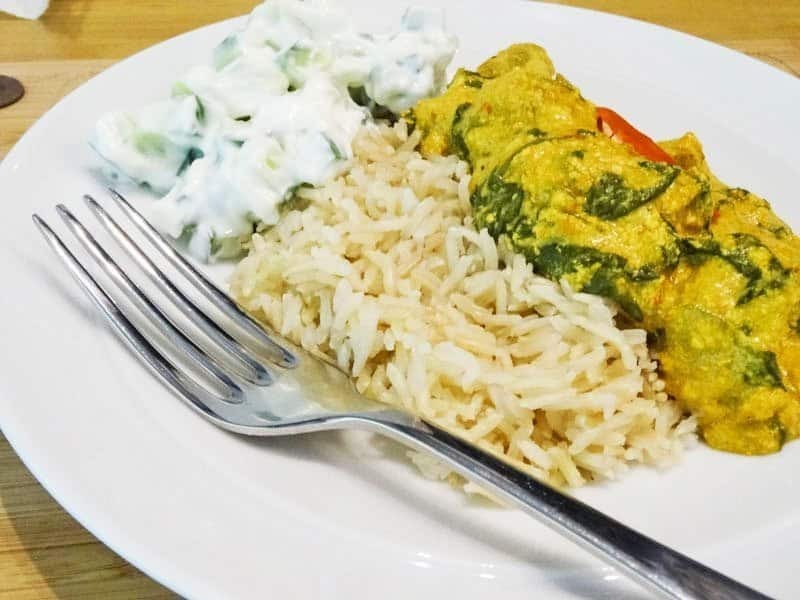 This month we do have a theme and it is: BARBEQUE you don’t have to get the barbie out to have BBQ flavours, you can make them in your slow cooker. 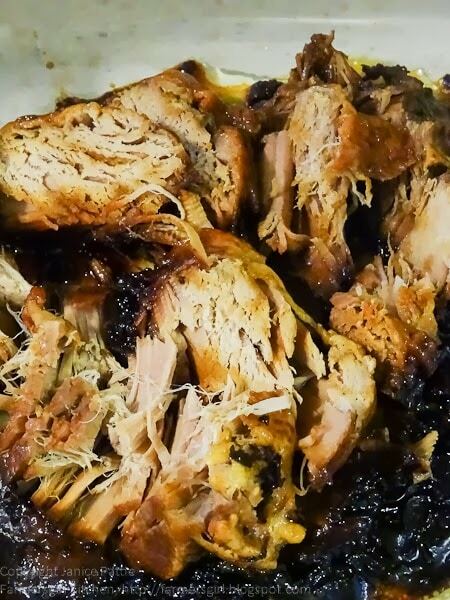 I’ve made this BBQ Pork Tenderloin which just falls apart in it’s own delicious sauce. This is the book for those who cook for two and prefer not to eat leftovers for days, however, the recipes can be doubled up if you are feeding a family. Expecting. Cynthia and her husband, Cliff, live in Atlanta, Georgia. I liked the little table of Conventional to Slow cooker timings which allow you to convert your own favourite recipes either from oven method to slow cooker or vice versa, and the requently asked questions section was full of useful answers. There is also a section with pantry ingredient suggestions. Moving on to the recipes there is a selection of Soups from classic leek and potato to Kale and Kielbasa Soup. There are eight Beef and Lamb dishes including Braised Short Ribs, Stuffed Peppers with Mozzarella and Rosemary Lamb with Tomatoes. and decided to see if they would work and they did. takes just two hours on low in the Slow Cooker and a Shrimp in Herb Butter Sauce dish. have thought of making in the slow cooker. to have a go at Lemon Cake, Lemon Curd, Apple Crisp, and Poached Pears. Nuts and White Bean Spread. The final chapter is all about The Basics and includes recipes for stocks, roasted garlic heads, Marinara Sauce and Cinnamon-Ginger Apple Sauce. pages are also included so you can write up your own recipes and variations. Cons: no picture for every recipe, a high predominance of meat-based main dishes, not much for the vegetarian or vegan. 3. Stir together the honey, soy sauce basil, garlic and olive oil in a small bowl. 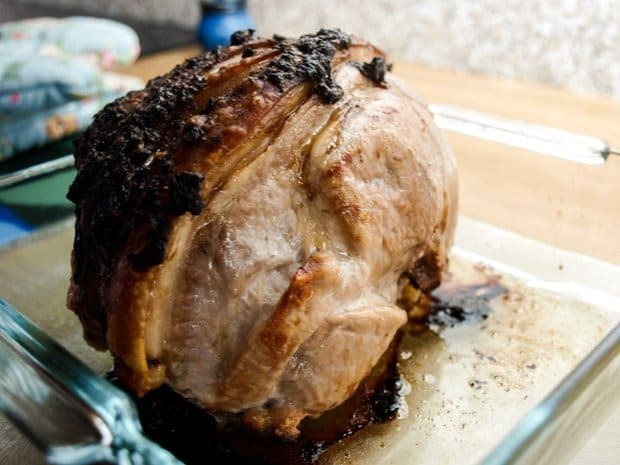 Pour over the pork, sprinkle with Parmesan cheese and set aside. 1. 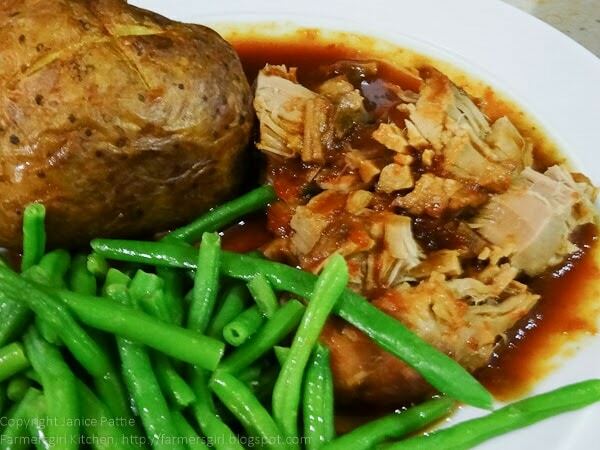 Place pork tenderloin in bottom of slow cooker liner or roasting bag. 3. Stir together the ketchup, brown sugar, vinegar, Dijon mustard, soy sauce, chilli powder, garlic and onion powder in a small bowl/ Pour over tenderloin. Set aside. 1. Place both liner bags, side by side, into the slow cooker. Drape each liner (closed) away from the other extending over the sides of the slow cooker. I sealed the roasting bags with their closures and placed side by side in the slow cooker. 3. Move two large, shallow serving dishes or bowls next to the slow cooker. 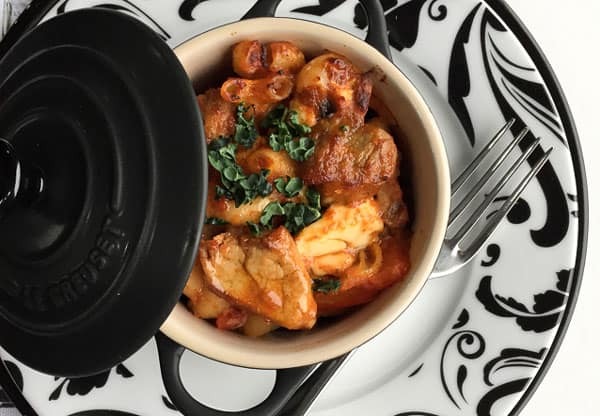 Remove cover and using pot holders or oven mitts, carefully remove each liner and its contents to its own serving bowl Let the liner rest open and allow contents to cool slightly. Remove the tenderloin from the liner using tongs and transfer to the serving bowl Then grasp the bag, holding the top and cut a corner off the bottom of the bag, large enough to allow the remaining contents of the bag to be released over the pork and into the bowl. Discard the liner. Repeat with the other dinner. 4. Allow the dinner, not being served, to cool, and package in a resealable plastic freezer bag or container (remember to label it). 5. Before serving, taste and season again if required. We ate the BBQ Pork Tenderloin, the meat was very tender and the sauce was delicious, feedback from himself was very positive. I have put the Parmesan Crusted Pork Tenderloin away for another meal. If you would like to join the Slow Cooker Challenge and win a copy of Slow Cooking for Two by Cynthia Graubart then simply cook a BBQ style meal in your slow cooker, then please follow the challenge rules below and link up to the linky. your post your pictures on a decicated Pinterest board. 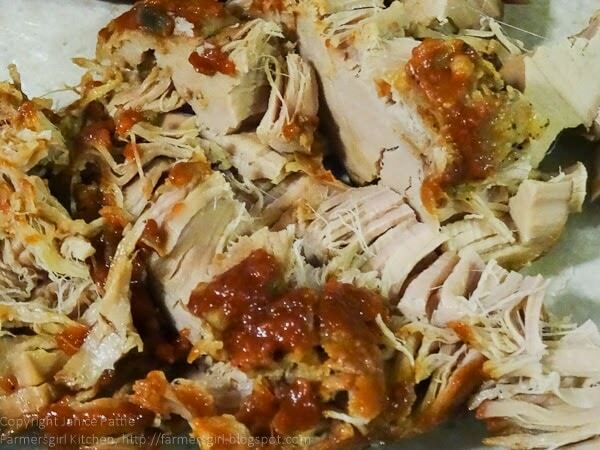 One of my favourite dishes at the moment is chicken or pork with homemade barbecue sauce in the slow cooker. It's great for relaxed evenings when friends come round. Unfortunately I've already written about it so I'll have to try and be a bit inventive. I'd be happy for you to enter a previously published recipe if you don't manage to make another one. dribbling onto my laptop again, may blow a fuse!… love that top picture… I may be popping by unannounced for dinner this week! You know you would be welcome. Wow! Loving the double dinners idea. What a great idea for maximum use of the slow cooker, love it! Must see if I can get the book! Love the two recipes you have made too. I always believe in cook it once, eat it twice i.e. make enough for leftovers, this is a great variation to that theme! Thanks Sylvia, it was very tasty. Sounds super! Love the sauce on this! Yes the sauce was excellent. Looks like the slow cooker is working wonders for you. Great post. Thanks Nayna, it took me a while to come back to a Slow Cooker because my first one in the 1980s wasn't such a great success, but I'm glad I did. Both pork dishes look incredibly succulent. The soy sauce/parmesan cheese combo seemed a bit weird but it was really good. Shall get my thinking cap on for a barbecue style slow cooked wonder! I'm sure my kids would adore anything with barbecue flavours, hope I've time to enter though as March is shaping up to be silly busy. I hope you have time, but don't worry if you don't, there's always next month! Wondering how on earth you BBQ on a slow cooker. The only thing I've used mine for so far is to cook pulses, which it is perfect for. I guess it's BBQ sauce rather than actual barbeque! I'm sure pulses or vegetables in a BBQ sauce would be very tasty. Great challenge, I'm going to try really hard to remember to enter this month! Oh that looks amazing, hope to get time to try this. I do like the idea of doubling up. 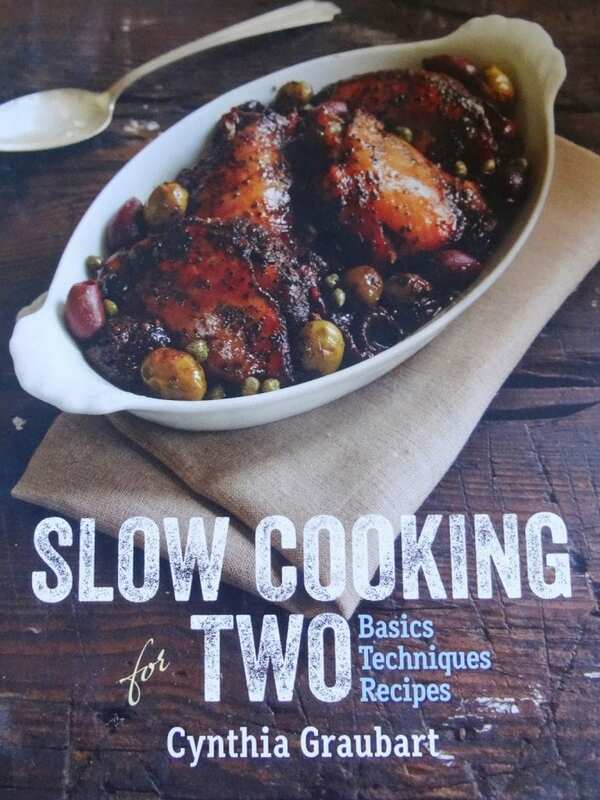 One of the best slow cooker books I have layers items and telss you what to do before work, and then what to add when you get home. I came across your slow cooker challenge last month but it completely slipped my mind. Will start thinking about a recipe and get involved this month! It's lovely to have won and I'm looking forward to the next challenge now too!